As an author and speaker on the modern workplace, I hear this a lot. But let me be clear: This is not a question from someone who wants to goof off, hang with their kids, or play video games in between conference calls. That is a toxic stereotype. This question comes from a person who needs quiet, peace, different lighting, or time alone. Daily, their ambition clashes with misery created by sitting in a busy office environment for ten hours a day. Though they are great contributors and co-workers, they feel they can’t get their work done in their place of work, because the environment is antithetical to who they are. Most of us work in environments as overstimulating as they are public. We have to sneak into the lactation room or book a fake meeting just to get some alone-time or wait until we have a major life event like a baby to work from home. We hide in the bathroom if we’re feeling emotional, and come in early or stay late to stay in the zone. We hide. But for people with social anxiety or autism, the challenges are even greater. A work presentation or speech at a conference becomes a minefield. After-office parties are stressful. Simply meeting a co-worker’s eyes can be difficult. And yet, most people would more likely engage in a trust fall with their boss than admit that they have an anxiety disorder or an autism spectrum diagnosis. How would a workplace be different if you could bring your true self to work – whether you were on the autism spectrum, had a mental illness, or needed to take a walk every hour to feel sane? If you were open about what that meant? How would you manage a team differently if that team were open about their neurodiversity? I spoke with Dr. Ned Sahin on his advice for managers. I recently visited Ned Sahin's startup in Cambridge, Massachusetts, called Brain Power. The company creates augmented reality glasses for autism: A user wears Google Glass and the Brain Power software guides him or her through social interactions or acts as a coach in difficult transitions or through social-emotional experiences. I know what you’re thinking: Google Glass? That lame attempt at wearable technology that nerds embraced for a hot second before realizing it was clumsy? Yep, the same one. 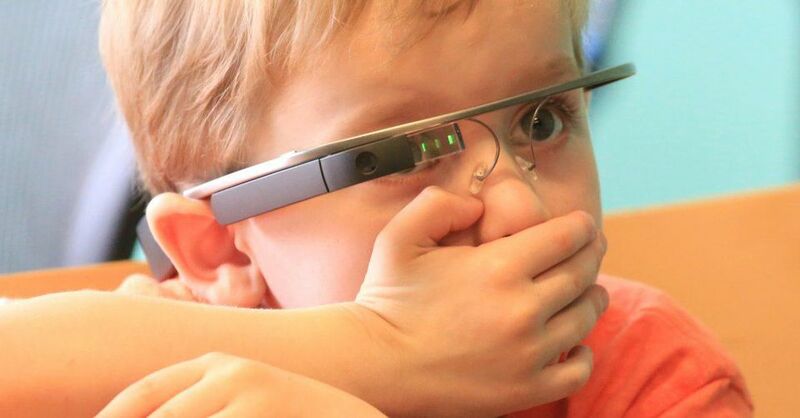 Google Glass is actually pretty amazing, and for kids on the spectrum, it’s an unobtrusive and useful tool when paired with software that measures their stress, and provides fun learning games as they travel through life and its myriad social and emotional demands. The game-like apps also collect numerical behavioral data and present the child and family with insights and answers they can understand. The small but powerful computer in glass gamifies cues and coaches kids to understand social-emotional experiences, from understanding when a friend is bored, or prompting a user to make eye contact during a conversation.